It was a great CD release with a lot of top-notch musicians playing superb music! Not being able to play bass lately, I’ve been spending more time with photography the past couple of weeks – wow, it can really be an expensive hobby! But the tendonitis in my right wrist is getting super painful, so I’ve decided I won’t rent the speedlight anymore until it gets better. (I really should buy one eventually though – an expensive hobby indeed!) And I’ve been thinking that maybe I should give photography a break for a while – carrying a heavy camera and lens definitely doesn’t speed up the healing process. it’s hard enough to not play music though, and now to not pass the time with photography either!? And to make matters even worse, I’m noticing that typing on the computer and using a mouse are not the most pain-reducing things I can do either… What’s left? Argh! Anyways, check out Amhed’s website, AmhedMitchel.com for more information on his awesome CD – he’s got a lot of great musicians on there! 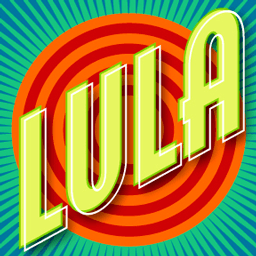 And of course, lulaworld.ca and lula.ca have lots of information on the many events going on this month at Lula Lounge – check it out! 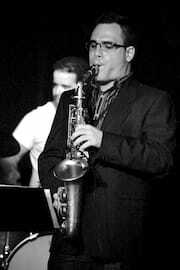 Next up, photos from Yani Borrell’s CD Release on the same night – I’ll get them up as soon as I can! 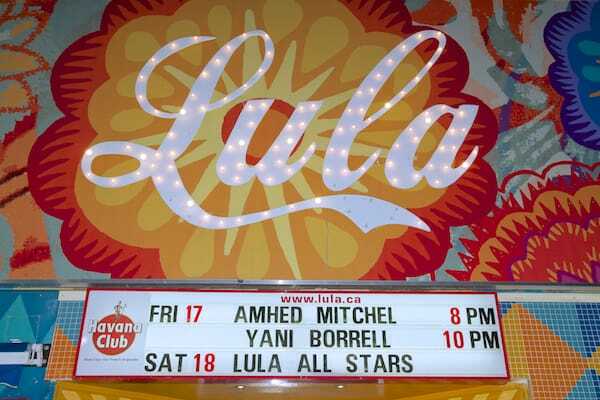 Amhed Mitchel’s CD Release at Lula Lounge was published on Thursday, May 23, 2013 at 7:00pm EDT by Daniel Menjívar and last updated on April 11, 2018 at 9:30pm UTC .